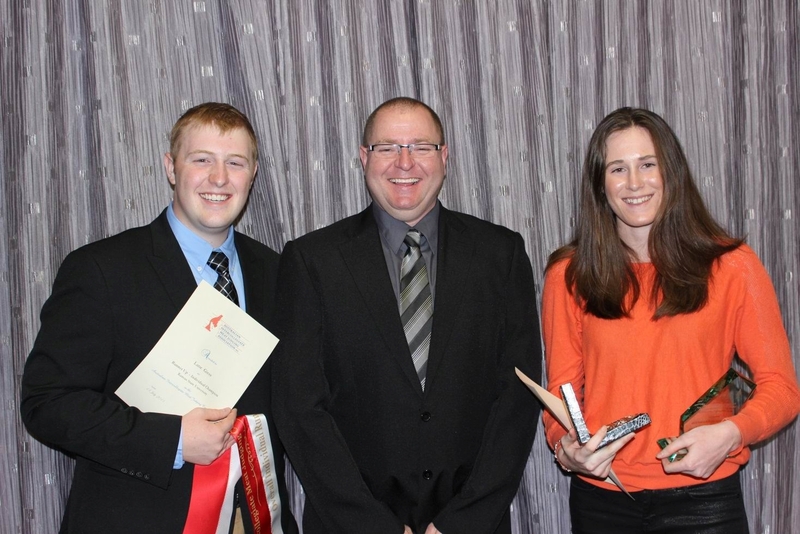 Runner-up Lane Geiss from Kansas State University, Hayden Cornell (Teys Australia) and winner Courtney O’Sullivan. Students from nine Australian universities and teams from South Korea, Pakistan, Indonesia, Japan and the US competed across a range of categories, judging beef, lamb and pork carcasses and their cuts. Originally from Esperance, Courtney said the win was the culmination of five great days at the event. ‘Beyond the competition, industry professionals gave lectures and workshops to help us improve our skills and knowledge,’ she said. Courtney and the nine other students on the Murdoch team spent the past two months attending extracurricular workshops at the university and honing their skills at Goodchild Meat Trading in Hamilton Hill. Murdoch coach Peter McGilchrist said students worked hard to improve their skills and this would benefit both the industry and consumers. ‘The judging of carcasses is based around trimness, muscling and quality,’ Dr McGilchrist said.